Ranked as one of the best liberal arts college in the country, The adidas Tennis Camp at Bowdoin College is directed by one of the top college coaches and teams in the country. Coach Smith will help your child improve their skills and take his/her game to the next level. Bowdoin College features 8 outdoor tennis courts with 4 courts as indoor backup. Check In: Overnight and Extended Day Campers check-in between 2:00 – 3:00pm at Reed House. Day Campers should check-in between 2:30 – 3:00pm at Reed House. After the first day, Extended Day and Day Campers should arrive at 8:45am at the tennis courts. The nearest airport is Portland International Jetport in Portland, ME. You are responsible for getting yourself to and from campus, adidas Tennis Camps does not provide transportation. 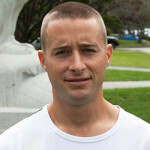 Conor Smith was named the men’s head coach in 2011, he subsequently took a team that was consistently ranked within the top 15 nationally into a premier Division III program. The team has finished within the top 10 in the country during four of his first five years as well as two NESCAC championship appearances. In 2016, Smith led the Polar Bears to their first National Championship by defeating Middlebury for the first men’s title in Bowdoin athletics history. Smith enjoyed a spectacular first campaign at the helm of the Polar Bears, leading the team to a 15-8 record, a runner-up finish in the NESCAC and a berth to the NCAA Quarterfinals for the second time in program history. Additionally, he became the second coach in Bowdoin men’s tennis history to earn NESCAC Coach of the Year honors. During the 2016 season, the men’s team reached the NESCAC championship and broke the program record for wins in a season by winning their 20th match for the National Championship. Smith earned NESCAC as well as the ITA National Coach of the Year honors for the team’s achievements. His teams have reached the Elite 8 round twice during this time while amassing a 9-3 record in the NCAA tournament. Smith was previously the men’s and women’s head coach for four years at Bridgewater College (Va.), and was twice named the Old Dominion Athletic Conference men’s tennis coach of the year, netting the honor most recently in 2011 as the Eagles went 14-7 overall. He also claimed the honor in 2009 after leading Bridgewater to a third-place finish in the ODAC – the team’s highest conference finish in 30 years. Under Smith’s direction, the squad set program records for single-season wins in each of the past two seasons. Smith began his coaching career in September, 2003 as the men’s assistant coach at Mary Washington, a position he held until May, 2005. Later in 2005, he accepted a position as women’s assistant coach at Washington College in Chestertown, Maryland. Smith received a Bachelor of Arts degree in history at Mary Washington and in 2007 he received his Master’s degree in history at Washington College. Smith played four years of tennis at the University of Mary Washington and was a two-time All-American. Smith was the Capital Athletic Conference Rookie of the Year in 2000 and in 2001 he was individually ranked No. 30 in Division III. Smith earned his first All-American honor as a junior in 2002 and, as a senior captain, was named an All-American for the second time. He was ranked No. 15 in the nation and won the ITA Senior Regional Player of the Year.